At least a dozen major topics were discussed at the annual G-20 meeting in Antalya, Turkey, both at the forum sessions as well as on the sidelines, and at bilateral and group meetings. - The war on terror. - The global economy (the problem of declining economic growth). - The reform of the International Monetary Fund. - Measures to combat tax evasion and the erosion of the tax base. - Problems stemming from the creation of the Trans-Pacific and the Trans-Atlantic Partnerships. - Problems with the construction of the Turkish Stream pipeline. - Ukraine’s debt to Russia. - Russian-Japanese relations (the prospects of those two countries signing a peace treaty that would formally end their World War II hostilities). Some assess the G-20 summits rather critically, pointing to what they call «empty blather» and «a cliquish mentality». Indeed, what can the summit attendees actually propose that would help stem the slowdown in the global economy? Or that would stave off climate change? There was arguably only one issue on the summit’s main agenda that was very specific, ready to go, and could be resolved in 24 hours. And that would be the reform of the International Monetary Fund. That issue was actually addressed five years ago by the IMF’s board of directors. Late in 2010 that body decided to reform the IMF (the 14th General Review of Quotas). It’s the usual routine: every five years, the fund adjusts each IMF member country’s assigned quota (contribution), a number which determines that country’s voting power and access to capital from this international financial organization. There was an added aspect to the 2010 overhaul: it stipulated that while the quotas were being realigned, the fund’s capital would also be doubled. This means that the member countries agreed to make additional contributions, in quantities tied to their new quota assignments. Most countries ratified the fund’s 2010 decision long ago, as required by the IMF’s charter. Most, but not all. The fund’s biggest shareholder – the United States – has not ratified it. Washington has always viewed the IMF as a subsidiary of the US Treasury. And although America’s IMF quota and voting share have been on a downward trajectory ever since the Bretton Woods Conference, today it still stands at over 17%. This makes it ease enough for the US to veto any decision made by the IMF’s board of directors (only a 15% stake is needed to block a vote). So what is Washington afraid of? Experts claim that even after the 14th General Review of Quotas the US share will not fall below 15%. Washington fears that the BRICS countries will also acquire a blocking stake if the 14th General Review is ratified. Currently this group has only an 11.5% quota and voting share. This is disproportionately low, given that the five BRICS nations generate 31% of global GDP. Russia has now begun to actively block IMF decisions, with the help of other countries, primarily the BRICS nations. On the eve of the G-20 meeting, Aleksei Mozhin, the IMF director for the Russian Federation, stated that coordination within the BRICS faction is already having an effect on the IMF’s system of management: «After making some suggestion or other several years ago, I was approached by a dozen people who explained why I was wrong. One of those reasons was because the countries in the Group of Seven actively work to coordinate their positions. Now we are coordinating our actions as well, so that doesn’t happen anymore». Coordination between the BRICS countries will take on a whole new significance once that group exceeds the 15% threshold. Washington knows perfectly well that if the 14th General Review of Quotas is allowed to take effect, then today’s world will look a bit different. And not the way the US wants it to look. For example, in March 2015 the IMF’s board of directors would probably not have decided to loan Ukraine $17.5 billion. Nor would we have been treated to the little drama also known as «the urgent change in the IMF’s rules» (set in motion by Washington, due to fears of Kiev’s potential default on its $3 billion loan from Russia), and so on. ...The majority of attendees at the G-20 summit are utterly incensed about the US position on the issue of IMF reform. And Christine Lagarde, the fund’s managing director, did not try to hide this. She met with Russian President Vladimir Putin on the sidelines of the summit. It was obvious that she was seeking Putin’s backing, in view of the American pressure on the IMF. Putin offered her his moral support: «We have been cooperating with the IMF for a long time in different ways, and we wish to continue this work and hope for the stability of our relationship». Lagarde admitted to Putin that she shares that impatience and irritation at the failure to implement the decisions to reform the organization and its quotas. Lagarde’s following statement, made during her meeting with Putin, is noteworthy: «In a range of probabilities, probably the highest probability of success [for this reform] is in the next two months. If that does not happen, then it will be about two or three years from now». That’s a very interesting remark. Why did she specify «the next two months»? The 14th General Review of Quotas officially expires on Dec. 31, 2015, although that review still has not taken effect. A new situation will present itself on Jan. 1, 2016. The IMF will have to give up on the 14th review and begin to draft the 15th. And that will take quite a long time. The situation is further muddled by the fact that by the time work was to begin on the 15th General Review, the IMF member states were to have developed and prepared a new formula for calculating quotas. The previous formula (still used today) is convoluted and clearly reflects the interests of the wealthy, first-world nations known as the «Golden Billion» (by incorporating ratings assigned by Western institutions). The new formula that was negotiated back in 2010 will be based on two simple and understandable figures – a country’s GDP and gold/foreign currency reserves. Countries on the periphery of the global economy, which includes the BRICS nations, will greatly benefit from this new formula. But the new formula is an additional stumbling block to reforming the IMF. Some countries suggest that implementing the 2010 decision is too onerous for the United States, and thus it should be split into two parts to make it easier for Uncle Sam to swallow. The first part would be the adjusted quota. And the second would include the additional contributions needed in order to double the fund’s capital. But most countries have not agreed to revisit the 2010 decision and divide it into two parts, because the fact is that the 2010 decision has already been ratified by most parliaments. 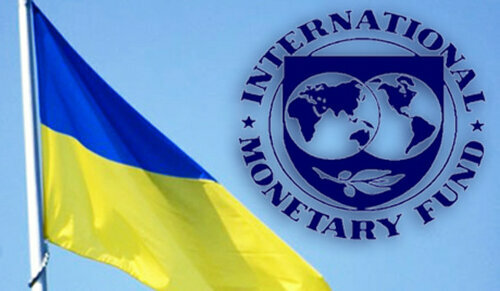 Attempts to «reformat» it would make a total mess of the IMF reform process. Which is exactly what Uncle Sam needs. Better an inactive fund than a fund pursuing a policy that represents the interests of most of the world’s countries instead of just Washington’s. At that time, I wrote that this $3 billion debt could become Moscow’s trump card. It could be played to Russia’s great benefit. And sure enough, at the summit in Turkey Putin decided to toss this very card onto the table of world politics, and it was a real bombshell. On Nov. 16 he stated that he was prepared to take steps to restructure Ukraine’s debt, «Not only did we agree to a restructuring of Ukraine’s debt, but we proposed better conditions for this restructuring than those the International Monetary Fund requested of us. We were asked to defer this payment of $3 billion to next year. I said that we are ready to accept a deeper restructuring with no payment this year, a payment of $1 billion next year, $1 billion in 2017, and $1 billion in 2018». Putin also noted that in that event, Moscow would be counting on the US, the EU, or international financial organizations to guarantee Ukraine’s repayment of its $3 billion debt to Russia. The Russian leader stated, «We have also requested guarantees, either from the US government, the European Union, or a trustworthy international financial institution. And we hope that this issue will be resolved by the beginning of December». Probably many at the summit breathed a deep sigh of relief upon hearing those words. I think Christine Lagarde should feel a special sense of gratitude, as she had been specifically ordered by Washington to alter the rules that the International Monetary Fund plays by, in order to accommodate this debt situation. In a sense Putin has become the savior of the IMF. This was a lovely gift for the fund, in honor of its 70th birthday in December 2015! And going back to Lagarde’s claim that IMF reform could happen in two months or a few years, I would like to comment that I think the second option is very unlikely. The IMF doesn’t have a few years’ time to stir things up. The second wave of the global financial crisis is closing in, and the fund in its current form is in no way prepared to handle that turmoil. My formula is different: the reform of the International Monetary Fund will either take place in the next two months or it will never happen. The second option means that the fund would simply give up the ghost.